Pondok Pitaya’s Bungalows is a cozy alternative hotel consisting of different type of Indonesian traditional wooden bungalows built of teak woods and boat woods, facing the surf break, swimming pool, conveniently located literally meters from the beach. Each bungalow is unique in its own way, there is no room that has the same design, fitted with queen size bed, ceiling fan, hot shower, and a safe box for guest valuables. In-room fridge is available on the bigger size bungalow. The aircon River Suites has more elegant design with the modern touch for a better sleep quality. The bigger bungalows is designed for surfers as it looks straight to the ocean. We recommend the River Suites for family and couples for one of a kind experience. 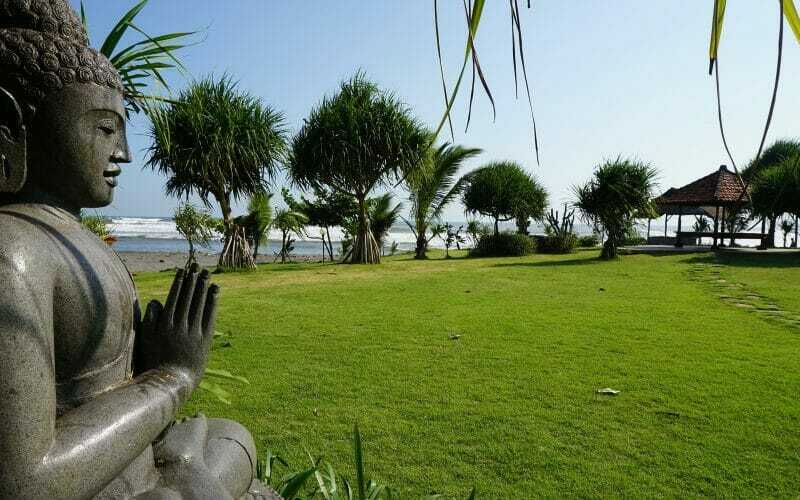 An authentic Japanese restaurant that serves the finest seafood Balian Beach can offer.